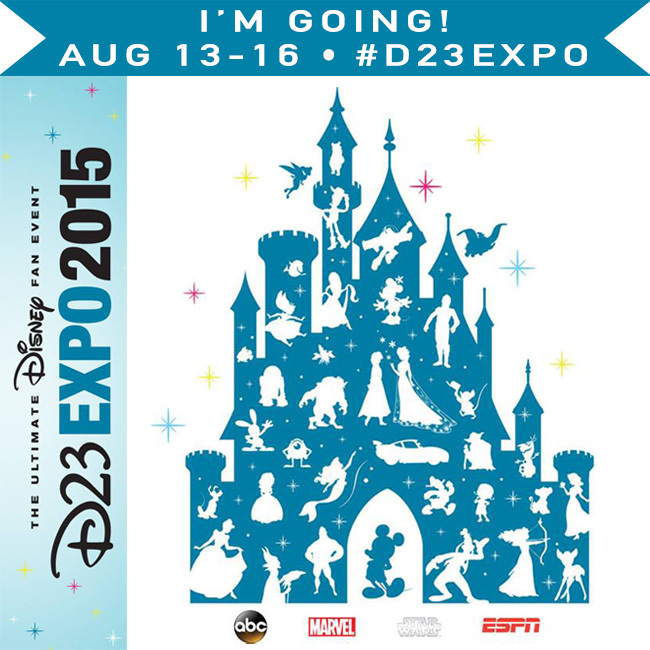 Heading to Disney’s D23 Expo 2015!! Thanks to a pixie-dusted invite, I’ll be attending the D23 Expo 2015 hosted by Disney in Anaheim, California and I’m ridiculously excited! I can’t wait to share with you all the Disney magic, fun and special upcoming Disney news! So…why all the excitement you ask?! Well, it’s no secret that I’m a BIG Disney fan! Some of my favorite childhood memories involve the Happiest Place on Earth and various Disney movies. True story – during sleepovers as a tween, my best friend and I would watch Disney movies, pause them at certain moments, and then try to draw/sketch what was on the screen! In fact, I recently found my Disney movie sketch book from those sessions! During those sessions, I often daydreamed about working for Disney (though it is clear from my sketches that I had no place in animation 😉 ). So while I don’t work FOR them, getting to work WITH them occasionally as part of my job now is absolutely mind-blowing for me. At the risk of sounding super corny, it truly is a dream come true! Needless to say then, I’ve been ridiculously excited since the invite to attend D23 arrived! WOW!!! I can hardly wrap my head around all that Disney awesomeness in one place! So far, we don’t know exactly what our agenda will be. But, I know there’s going to be TONS of Disney (hello STAR WARS) excitement including exclusive sneak peeks at upcoming Disney films, celebrity appearances, the Disney Legends ceremony (where George Lucas will be honored. Ahhhhhhhh!!! ), fun presentations, special meet and greets, shopping, and a look at what’s coming from Disney Parks and Resorts and Walt Disney Imagineering! Disneyland is oh so conveniently located right across the street from the Anaheim Convention Center. 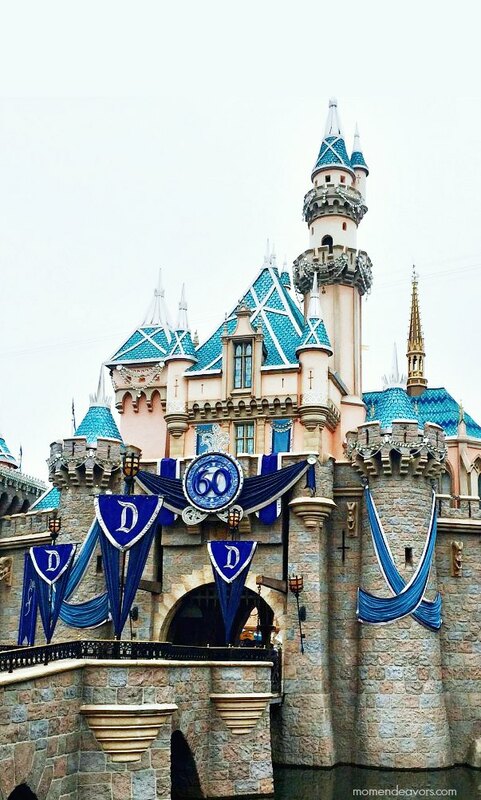 So, we’ll be headed over to the parks to experience some of the amazing 60th Anniversary Celebration. We had the pleasure of seeing all the new Diamond Celebration fun earlier this summer and it is indeed dazzling! I can’t wait to go back. Plus, about half of the bloggers in our group are Disneyland newbies, so I canNOT wait to play Disneyland tour guide for an evening and see how much fun we can pack in to one night on limited Disneyland time! So now before I go, I’m trying to do a little Disney costume planning. Have you seen pictures of Comic Con?! SO many amazing cosplay costumes, fun shirts, gear, etc. And, the D23 Expo is no different. As soon as I found out that we’re allowed to wear our favorite Disney gear over the 3 days (including full costumes), my mind has been spinning! Over the years, I’ve worn my fair share of Disney costumes – yes, even as an adult. In fact, I just recently donned a simple Darth Vader costume (then there was also Princess Leia, Monsters University, Princess Anna Disney Bounding, etc). And, I LOVED getting to dress-up at Disneyland at Mickey’s Halloween Party last year. My former drama nerd comes out in these situations…but narrowing it down is SO HARD. Decisions, decisions. Any suggestions for me? Who should I dress up as?! Who would you dress up as? I know at least one day will involve Star Wars, but that’s as far as I’ve gotten! 😉 Leave me your ideas in the comments! So, I would LOVE to have you join me on this ultimate Disney fan adventure! You can follow along in real time (August 13th-16th) by staying tuned to my Instagram, Twitter, and Facebook feeds! In addition, you can join all the 25 bloggers who will be attending by following the #D23Expo hashtag over the social media outlets as well! You can bet that I’ll be sharing TONS of pictures from all the amazing things going on! Disclosure: Disney is hosting me in Anaheim in order to attend the D23 Expo and participate in media events. As always, all opinions, experiences, and love of Disney are entirely my own! I am so excited for you! Can’t wait to follow along on another adventure. Joy, Sadness, or Disgust would be super fun and easy for one of the days. I can’t wait to meet you this week! I just know it is going to be a blast! Snow White! I think you look a bit like her already! 😉 Have a to of fun.